Qualcomm posted in a blog post about the most extreme Snapdragon with a platform that combines the best of smartphone with the power and performance of a high-end laptop. The new Qualcomm Snapdragon 8cx is the first 7 nanometer processor which is designed for laptops, Windows Tablets and PCs and offers a premium experience and performance. 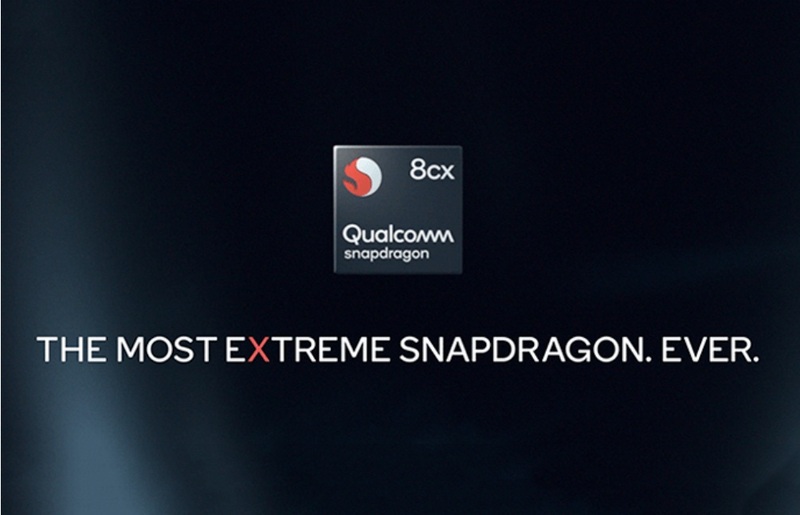 The Snapdragon 8cx is said to be the most powerful SoC that was made by Qualcomm. The GPU graphics of the new SoC has Andreno 680 that includes 2x more transistors, 2x more memory bandwidth, and the latest DX12 APIs than the GPU in the Snapdragon 850. The CPU has the Qualcomm Kyro 495 CPU with an octa-core CPU design with a bigger size of L2 Cache, L3 Cache, and system Cache. The SoC supports dual 4K HDR displays and cutting edge Hi-Fi Audio. It has a Qualcomm Aqstic audio code and Qualcomm aptX HD codec built-in. The company added in a blog post, the new SOC will have a multi-day battery life. The company confirmed that the Snapdragon 8cx will release next year.